Last year we wrote about Australia’s first floating solar farm being installed and set up in Lismore – today we are proud to announce that the East Lismore Sewage Treatment Plant launched the Lismore Floating Solar Farm yesterday morning. 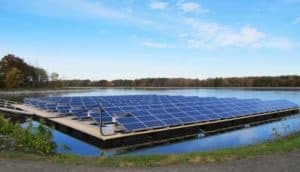 According to the Northern Star, the 100kW floating solar panels installed by the council above a wastewater lagoon in East Lismore will form a cornerstone of the council solar plan. They are one of 70 councils across Australia, which represent almost a third of the country’s population (7.5 million people), who have signed a pledge to take action on climate change by attempting to reduce or completely eradicate their carbon footprint / fossil fuel usage. An example of this is the recent Mackay Council Solar Tender, where they have voted to invite tenders from shortlisted respondents for the installation of PV solar at 20 council sites in Mackay. The Lismore floating solar farm is one of many measures the Lismore City Council has put in place as per its Renewable Energy Master Plan. They have set themselves the target of generating all required electricity via renewable sources by 2023, which makes them the first regional council in Australia to commit to making its electricity supply 100% renewable. 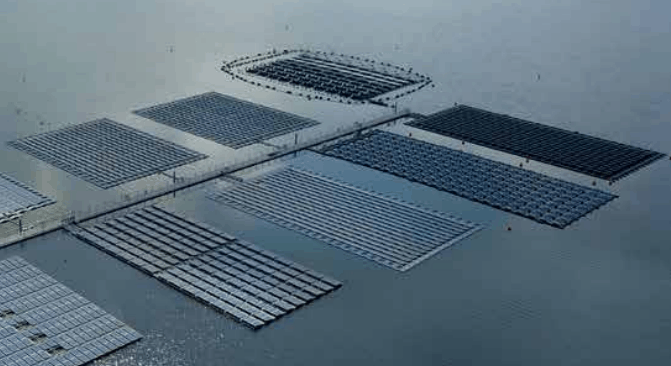 The Lismore plant joins a growing trend of floating solar energy, such as the 40MW floating PV solar plant in Huainan, China, which will be built and operated byu the Sungrow Power Supply over a lake on a collapsed coal mine. 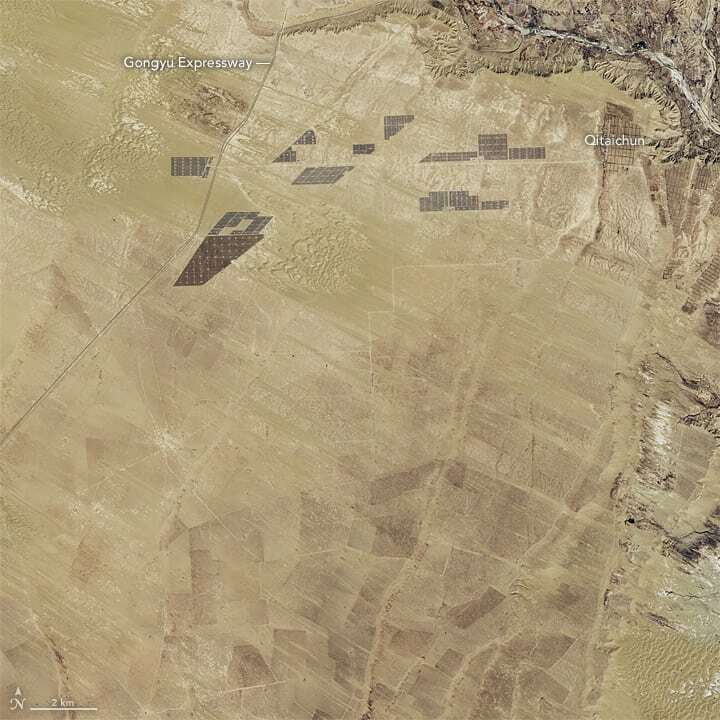 As part of their ongoing goal of achieving zero net electricity usage by 2020, SA Water installed 100kW of solar photovoltaic (PV) and a 50kWh battery storage system in late December and expect the system to be commissioned in January. 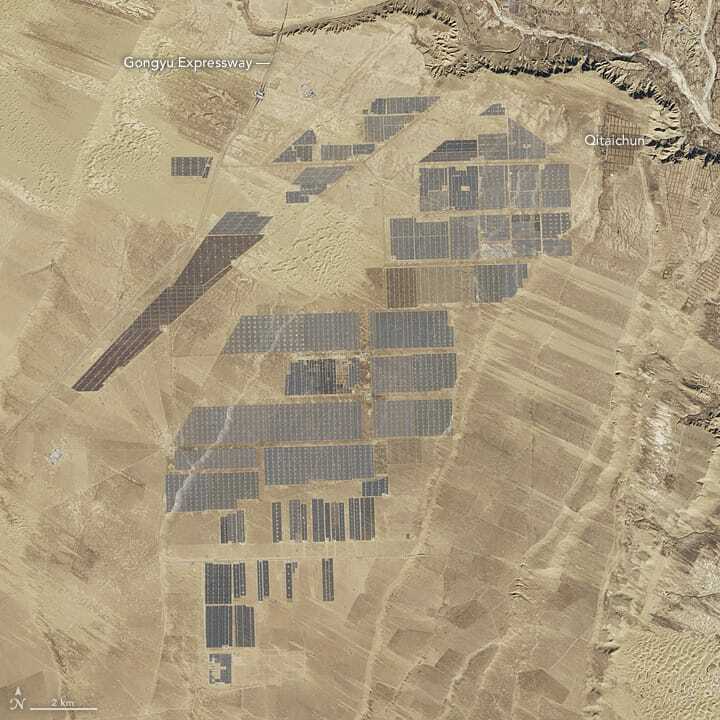 They also announced that they will spend $10 million on 6MW of rooftop solar PV across their operations, with the first installations expected to begin in the Q1 2019. Their $500,000 pilot 100kW solar 50kWh battery storage project is currently being finalised at the SA Water Crystal Brook workshop – and should be live this month. They’re planning on cutting their bill from $55 million for last financial year to $0 in 2020 by installing up to 6MW of solar panels across its myriad metropolitan sites. “We’ve already been reducing our electricity costs by more than $3 million a year since 2013, so we know that with a concerted push, our goal is ambitious, but within reach,” CEO Roch Cheroux told One Step Off the Grid via email. “By increasing our renewable energy generation and storage, driving energy efficiencies and making smart decisions around our electricity usage and procurement, we aim to reduce our net electricity costs from $55 million in 2016/17 to $0 in 2020,” Mr Cheroux continued. SA Water serves 1.6 million people across South Australia and is one of the single largest electricity users in the whole state, so for them to aim to be energy neutral by 2020 is a massive undertaking and will be a fantastic step forward for renewable energy in South Australia, which is already paving the way for the other states. According to RenewEconomy, pilot programs earmarked for the future include floating solar, silicon thermal storage, and flywheel mechanical battery storage systems. “As there is very little experience in the market of a large utility such as SA Water using a combination of battery and solar storage across multiple sites, it’s important to verify the financial benefits and increase our understanding of its capabilities”, Mr Cheroux told a press conference – you can watch it below.